At the IFA 2014 New Sony Smartwatch 3 Rumored to come but wireless charging, No Android Wear and Wi-Fi might be aboard. 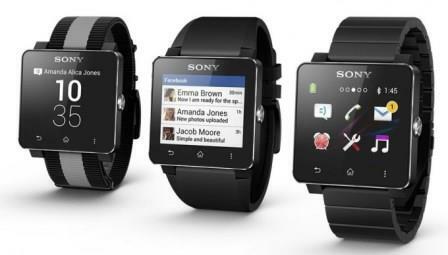 Sony may be working on the SmartWatch 3, a new smart watch should be presented at the upcoming IFA 2014. The wearables are the order of the day, more and more, although we see that sales are growing way too outstanding. If not next Christmas start selling smart watches manufacturers routinely have to start to reconsider whether they really compensates continue investing money and big budgets on devices that do not seem to interest the users. Sony is one of the companies that are striving to try the wearable, especially the smartwatch reach a large number of users. The company has already manufactured several models of smart watch and looks set to continue doing so. The latest rumors suggest that the company is preparing to submit a new smartwatch that will be presented during the IFA 2014 could be a device that radically changed the tide of the market, based on the concept that has been seen before in the model SmartWatch 2 and improve it more in line with the latest market requirements characteristics. The theory is that this new smart watch will be called SmartWatch 3, clear continuity of its range of wearable devices marketed before. And we think we have this new smartwatch? Sony may have ambitious plans in mind. There are rumors and theories. There are so risky rumors even say that the Japanese company is preparing to change operating system. You could leave Android Wear it for another platform, as Samsung did previously when he joined one of his Tizen smartwatch. What is not clear is why the company would choose platform, since there are not many options available to manufacturers at the moment, especially when we consider the wearable. About functions and features, not quite sure what we would expect. A smartwatch that need to connect to a smartphone? It is possible. A smartwatch with water resistance and dust? It’s typical of Sony. Everything should add to get Sony imposes its presence on the wearable market in a more meaningful way than has been so far. The smartwatch are a type of technological product which, as noted above, aims to leave a good feeling in the market but at the same time has a lot to prove. Sony is doing a proper role in the smartwatch and wearable are overcome in a constant way.